As the Kendall Yards development builds out and with the reconstruction of Riverfront Park, the potential for increased urban development exposes new needs and opportunities for the North Bank. 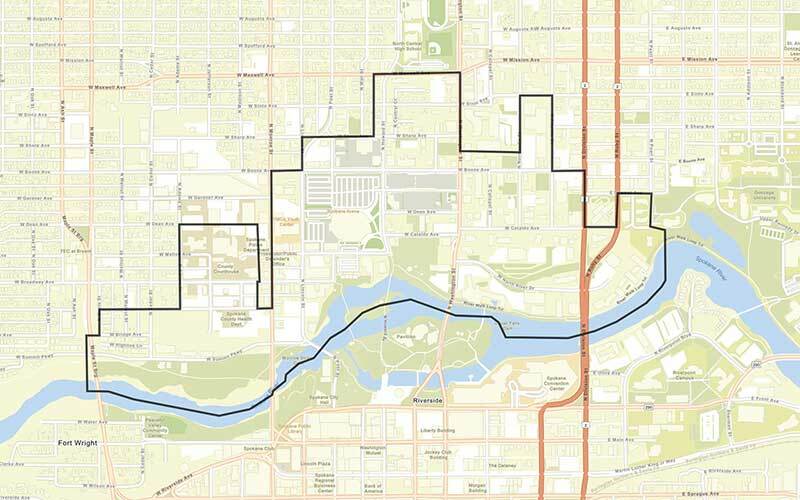 Several ongoing planning efforts and recent development proposals highlight the North Bank's potential to be a major growth center for downtown. These proposed developments face an array of regulations which do not effectively advance public objectives for a safe, vibrant, healthy city. Current regulations impact the height and design of buildings, adding complexity to development proposals and affecting the character of the North Bank. View the North Bank Development Environment map to explore these various layers of development regulation. The North Bank Plan will focus on strategies to guide and optimize new development to ensure a vibrant North Bank for future generations. Planning for the North Bank will be a coordinated community effort of City staff, local stakeholders, key public representatives, and technical staff from partner agencies. A continuous public engagement strategy will be key to the planning process. The North Bank Plan is part of a larger planning effort called the Downtown Plan Update, which will launch later this year. Work products from other projects such as the Downtown Parking Study will inform both planning processes. The North Bank Plan will be consistent with the existing Shoreline Master Program. This planning effort will not change the Shoreline Master Program. 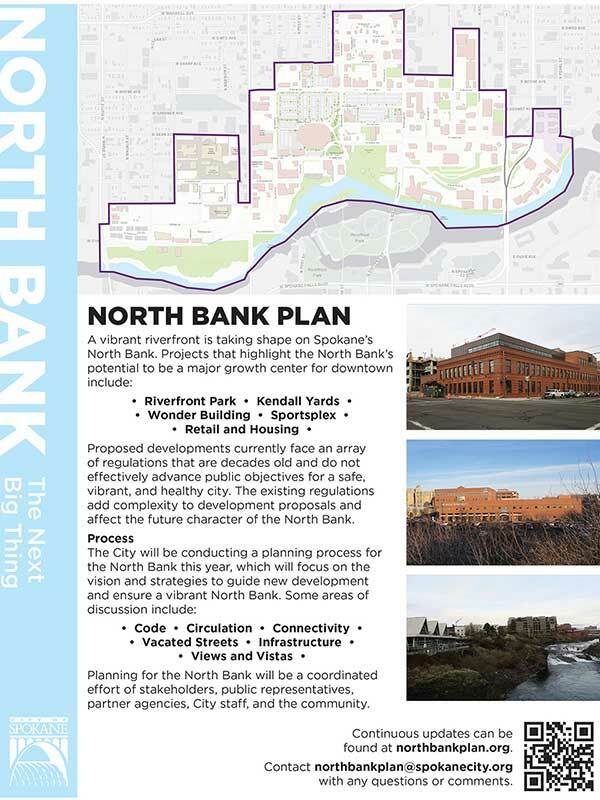 The planning process for North Bank planning launched in January 2019 with a site tour, kickoff meeting, and focus group interviews. A series of North Bank Plan workshops were held over three days, March 5-7, 2019, with attendees from the City, local stakeholders, key public representatives, partner agencies, and the public. Additionally, an online survey was available and survey responses will be used to help inform the vision for the area and guide the planning process. The planning process is anticipated to conclude in mid-2019. Check back for continuous updates! Please don't hesitate to contact us for more information or with questions.